Last week some apps (e.g. Untappd, Score, Solitare) on my HTC One M8 Android phone began crashing. 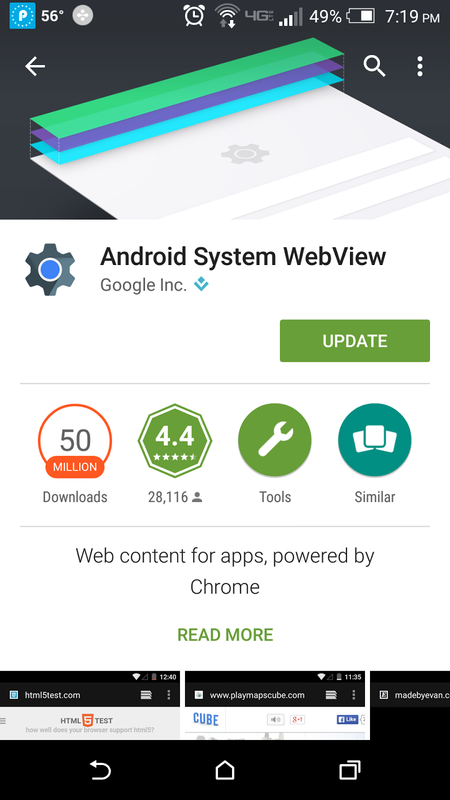 The culprit was an update to the Android System Webview app, a component of the system that allows an app to display embedded web pages. I just needed to tap "Uninstall" after finding the app, which removed the update and fixed the problem.